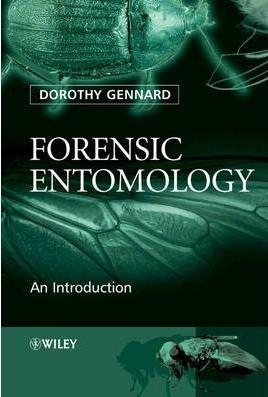 This invaluable text provides a concise introduction to entomology in a forensic context and is also a practical guide to collecting entomological samples at the crime scene. "Forensic Entomology: An Introduction": Assumes no prior knowledge of either entomology or biology. It provides background information about the procedures carried out by the professional forensic entomologist in order to determine key information about post-mortem interval presented by insect evidence. It includes practical tasks and further reading to enhance understanding of the subject and to enable the reader to gain key laboratory skills and a clear understanding of insect life cycles, the identification features of insects, and aspects of their ecology. Glossary, photographs, the style of presentation and numerous illustrations have been designed to assist in the identification of insects associated with the corpse; keys are included to help students make this identification. This book is an essential resource for undergraduate Forensic Science and Criminology students and those on conversion postgraduate M.Sc. courses in Forensic Science. It is also useful for Scenes of Crime Officers undertaking diploma studies and Scene Investigating Officers.